PTFE-faced Gray Butyl Rubber Septum. 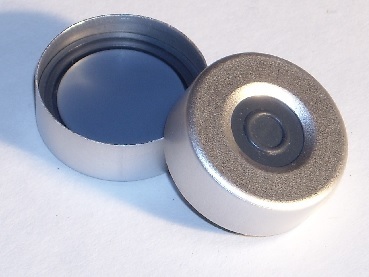 20mm Aluminum Crimp Seal with PTFE-faced Gray Butyl Rubber Septum. 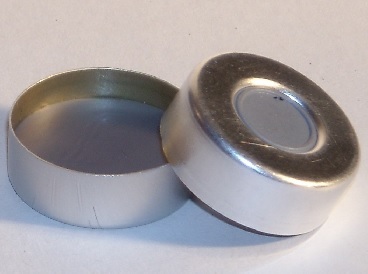 Caps used on Agilent, Hewlett Packard, CTC, PerkinElmer, Tekmar and LEAP vials. Use for high-temperature applications (recommended for use from 25○ to 120○ C). Standard center hole with gray PTFE-faced black molded butyl rubber septa. Standard center hole with tan PTFE-faced white silicone septa. PTFE-faced trans-blue silicone rubber septa.